FranceInfo has announced that France has grand aspirations for high-speed TGV trains in the future. By 2023, the country aims to have the TGV trains running, with train operator SNCF to have a prototype ready for testing by 2019. The high-speed TGV trains will cruise faster than 200 mph, equipped with sensors and an automatic braking system, are being dubbed “drone trains” due to the fact they can be remotely controlled at super fast speeds. It is worth noting, however, that conductors will remain onboard to handle kinks in the system or emergencies which may arise for the time being. 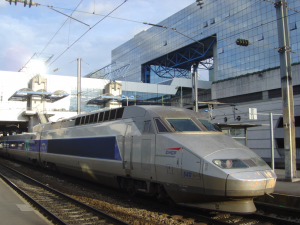 SCNF estimates the automated system could potentially increase the number of trips between Paris and Lyon by upwards of 25 percent.